Sanofi has entered a partnership with US-based medical device firm Medtronic to develop drug-device combinations for people with type 2 diabetes. 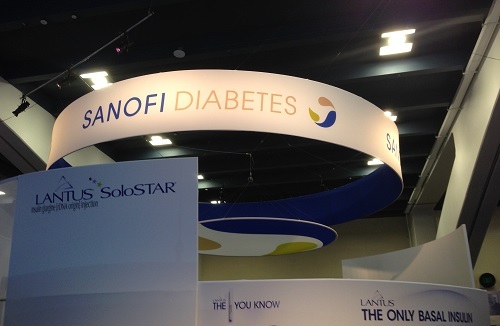 The deal was announced at the American Diabetes Association's meeting in San Francisco at the weekend and brings together two leaders in their field, with Sanofi's basal insulin Lantus a standard treatment for many people with type 1 and type 2 diabetes and Medtronic's range of products, including insulin pumps and tools to monitor glucose levels, in common use. The collaboration will initially focus on two priority areas: the development of simple, affordable devices for use in combination with Sanofi's diabetes treatments, and a set of care management services that support people with type 2 diabetes on making the transition from oral-only therapies to the use of insulin. The two companies have experience of working together, having already collaborated on an implantable insulin delivery system for type 1 diabetes, and that project will be added to the new alliance. In a press briefing to announce the new deal, Pierre Chancel, head of Sanofi's global diabetes business, explained the partnership “made sense” as it allowed Sanofi to bring its experience in insulin to a company with expertise in treatment administration, helping to overcome the current fragmentation of the huge diabetes market. “There is an opportunity for patients to be better controlled and better managed,” said Chancel, remarking that, for type 2 diabetes patients who are prescribed insulin after failing to control their blood sugar levels on oral therapies, up to 30 to 40 per cent drop out of insulin therapy in the first few months of treatment. For Medtronic's part, Hooman Hakami, president of the company's diabetes business, said it wanted to “play a broader leadership role” in the area, noting the importance of the care management aspect of the collaboration. Hakami also explained why Medtronic chose to work with Sanofi over other companies working in diabetes. There is scope for the collaboration to expand beyond Sanofi and Medtronic too, with the company describing the alliance as an “open-innovation model”. Speaking to PMLiVE, Hakami said that payers, tech companies and information companies could all be involved at some point down the line. Christoph Heinemann, VP, strategy and portfolio management for Sanofi's diabetes business explained that Sanofi was no stranger to this approach, with two of its biggest developments in recent years - the iBGStar blood glucose monitoring system and the GLP-1 agonist Lyxumia - both having been developed with other firms.